Billy Hippo hates water. It’s too cold! Too scary! Too wet! And swimming? No thanks. 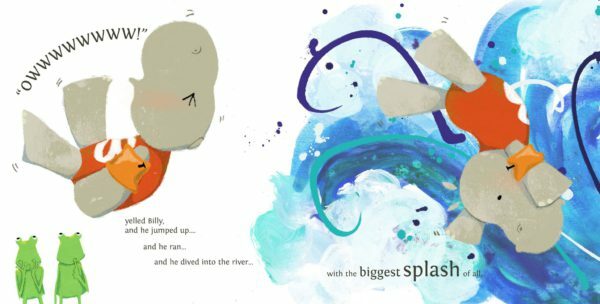 Award-winning children’s author Vivian French teams up with emerging picture book illustrator Hannah Foley in this colourful tale about Billy Hippo who hates water. It’s too cold! Too scary! Too wet! 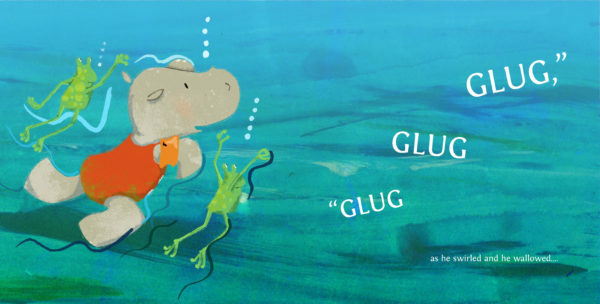 Can two cheeky frogs and a big surprise change Billy’s mind, and start him swimming? 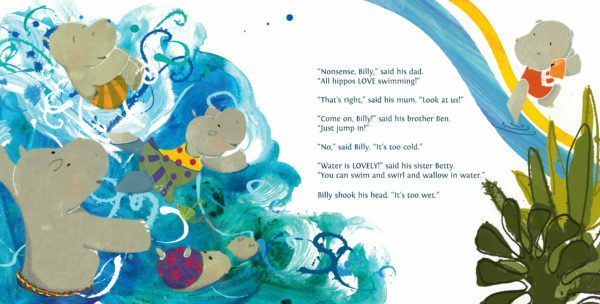 How Billy Hippo Learned To Swim by Vivian French, with illustrations by Hannah Foley, is published by Little Door Books in March 2018 priced £6.99.